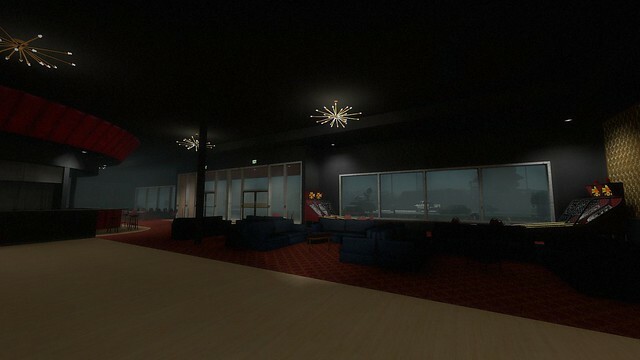 After four months of hard work the map is ready for release! Please share this map with all your friends. Scavenge mode is hard and really needs a full set of friends to win. 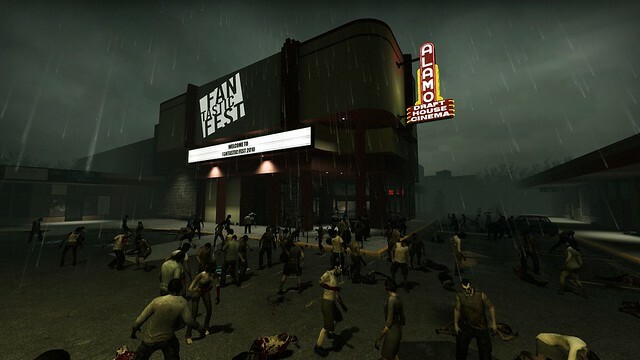 Comments Off on Fan Feast: Released! Fan Feast Update: Almost there! 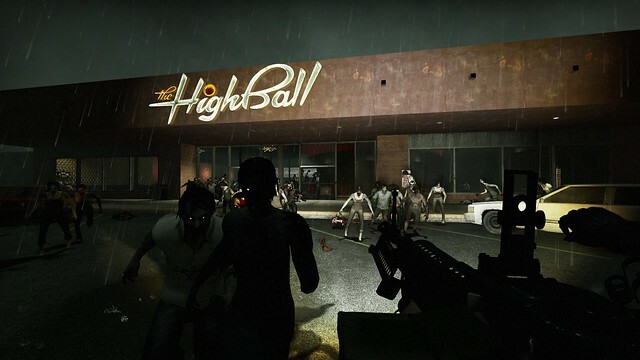 I know there are quite a few of you are waiting for the map release so you can go kill zombies at the Highball. I have been working on the map every night to finish it out. I have added a few new assets from The Sacrifice update and currently 100% of the map geometry and all the details are done and locked in. 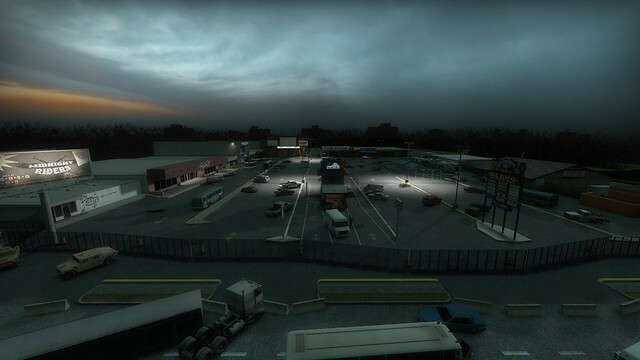 I just have a few bugs that affect scavenge mode to figure out and then I will release the map. 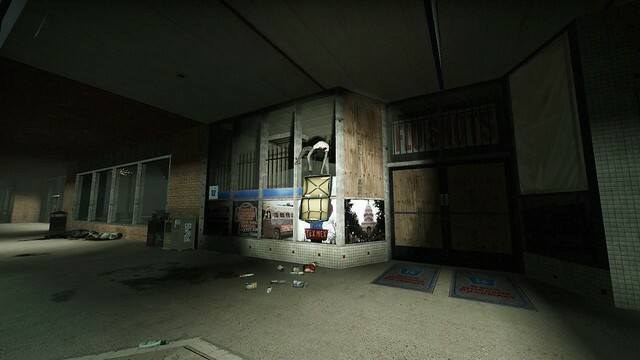 Also, Left4Dead2 is still less then $7 right now, so if you want to play this map that is a low price to pay. Comments Off on Fan Feast Update: Almost there! 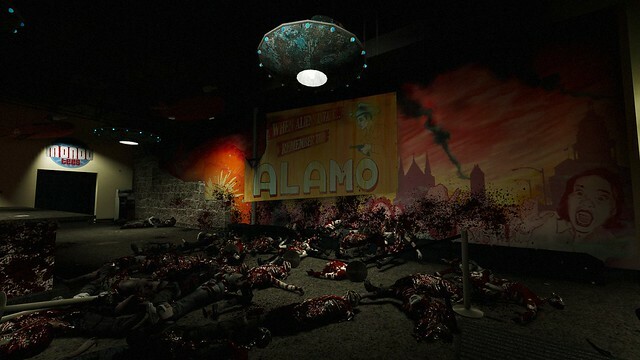 If you missed Fantastic Fest and Fantastic Arcade, then you missed out on a great time. 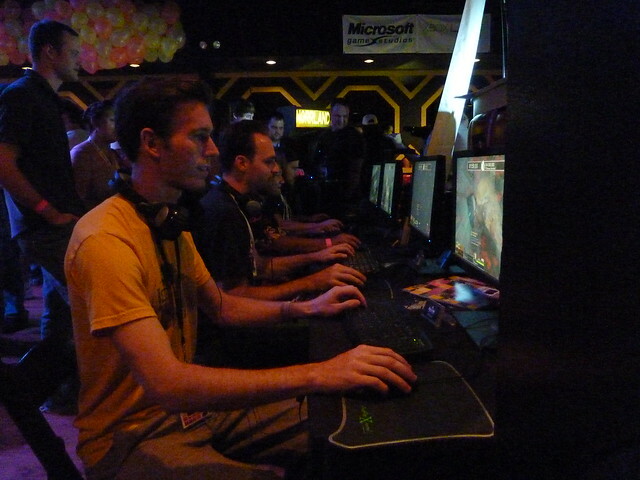 There were over 100 movies to see, and 30 independent video games to play. Along with lots of other fun events. 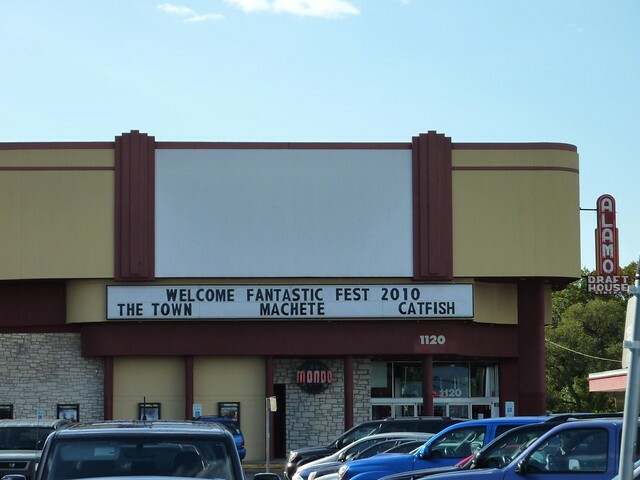 If your in or near Austin, and you have been tracking this project you have no excuse not to be at Fantastic Fest right now playing the map. I made a quick two minutes video to show off the map and gameplay. 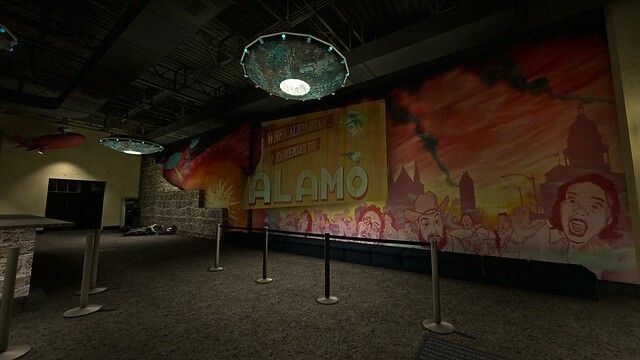 The Alamo Drafthouse, South Lamar, Lobby inside Left4Dead2. The mural took quite a bit of photoshop work to stitch together from reference photos. 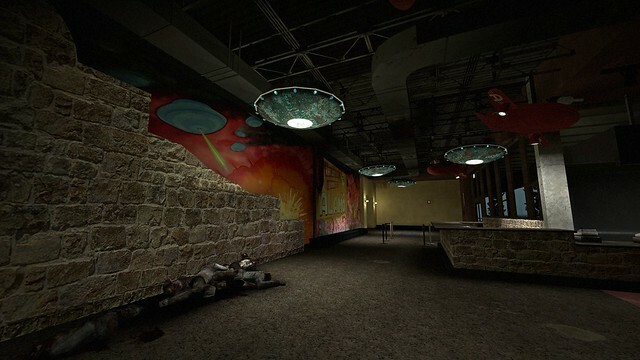 The hanging UFOs and Planes are made from scratch in SketchUp. 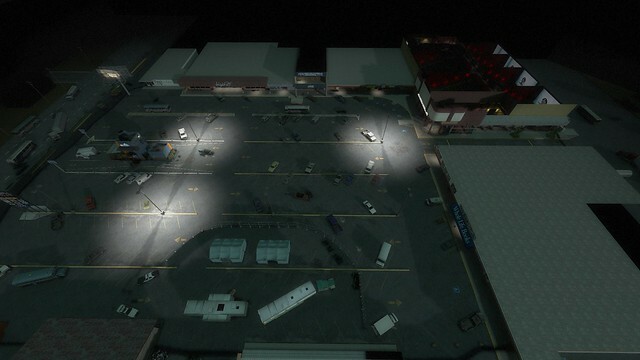 The small lights on the UFOs are even animated. 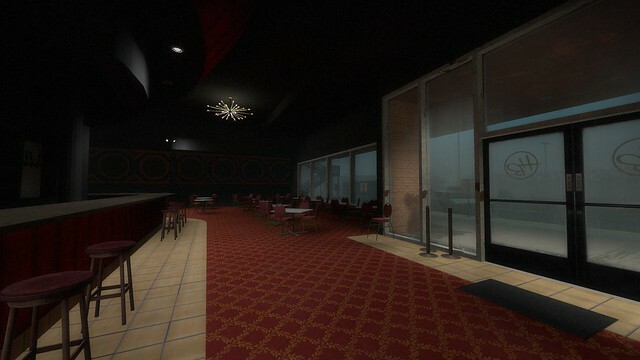 I had been a little while since my last update, but I have been hard at work every day on the map. 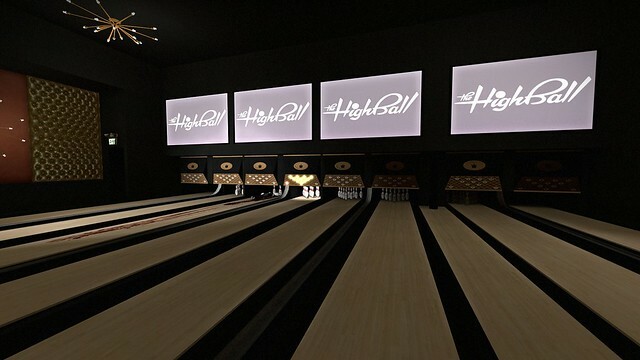 The interior of The Highball is about finished. 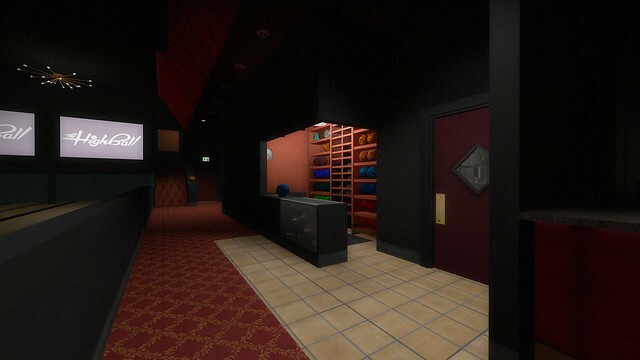 This part of the map requires more custom props and textures then any other. 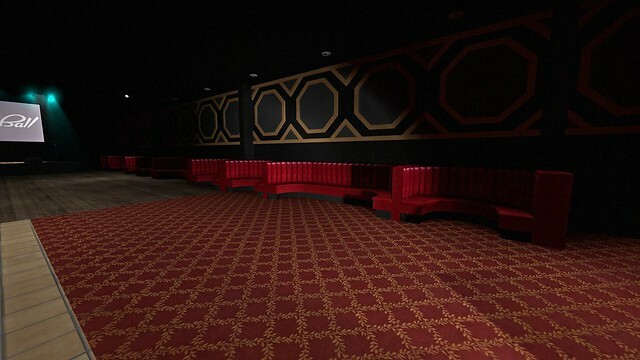 The doors are custom, the skeeball, the neon sign, and even the carpet texture in the map is extracted from a photo of the real carpet. 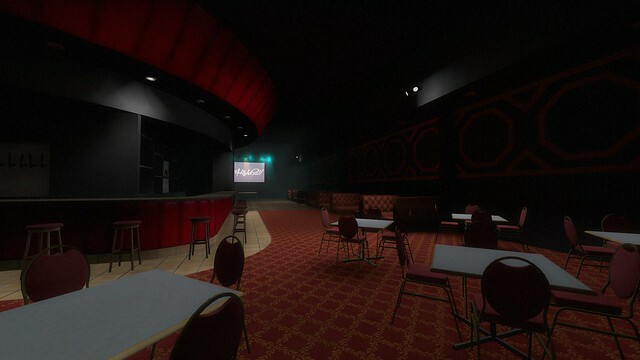 There are nearly a dozen custom props inside already and I haven't even added the bowling to the map yet. 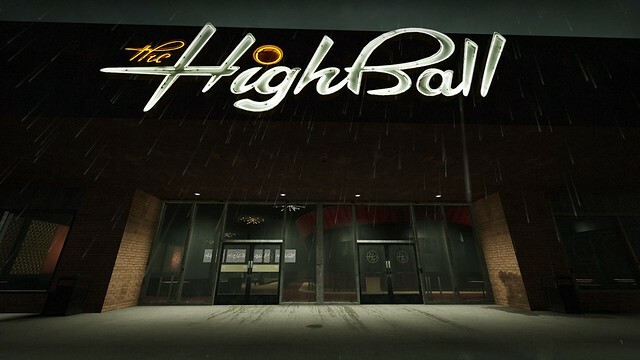 This weekend I worked on more of the interior of the Highball. 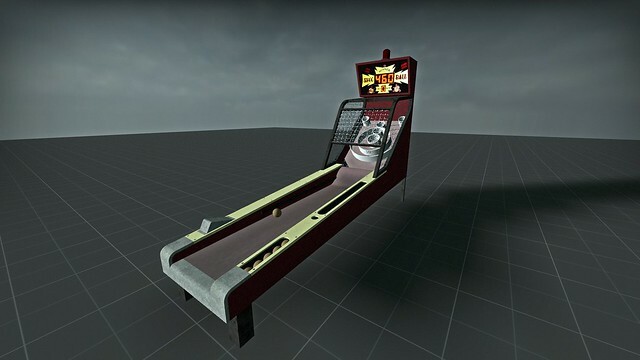 But the highlight is my custom made Skeeball machine. 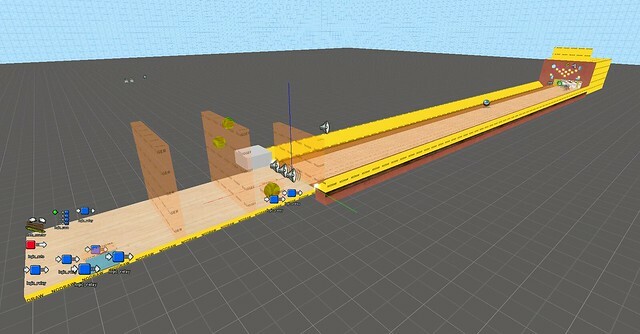 It is modeled in SketchUp and built to scale. 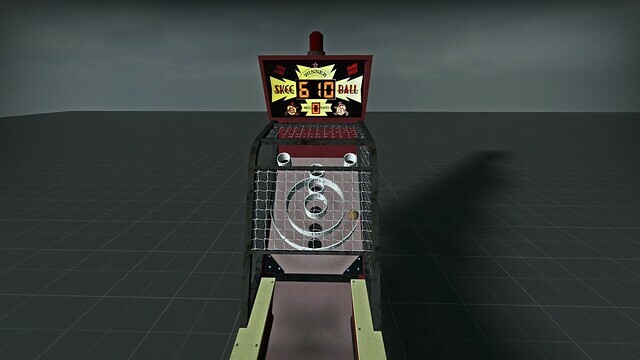 The dimensions at taken from this thread on how to make your own skeeball machine. 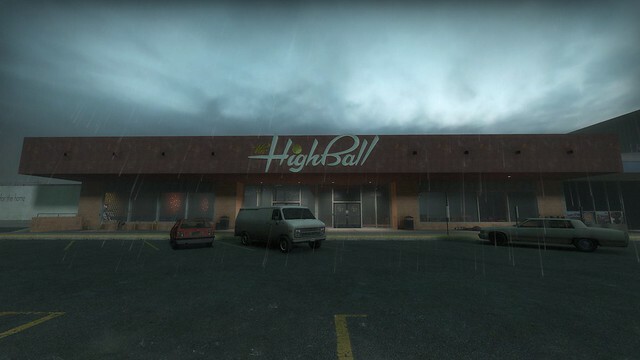 Aside from the marquee most of the textures were made from scratch in photoshop using photos of the actual skeeball machines at the Highball as reference. It works in game (see video below). It was quite a chore to get the physics correct and have the balls still fall into the right trigger spots to detect each hole. 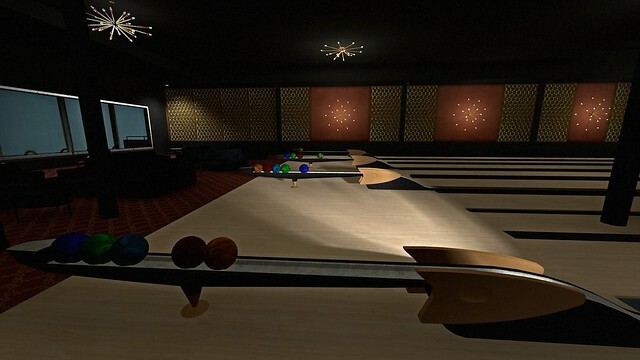 Below is an image of the bowling setup inside of Hammer. It takes a lot of well balanced triggers, logic, and other tricks but the end result is worth it. 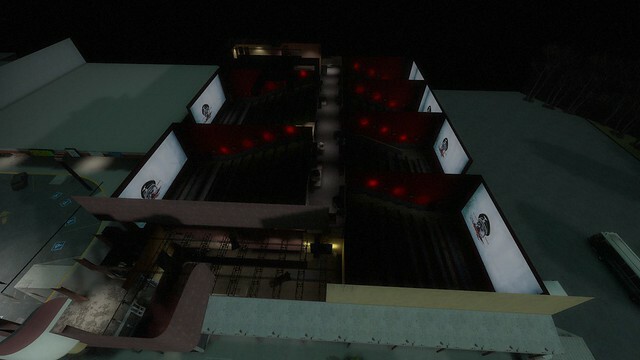 Below are images of the map as a whole to give an idea of how large it is.